Air Embrace VERVE is the vertical hood, Integration of Functionality and Design, Perfect for Dynamic and Innovative Home Environments. 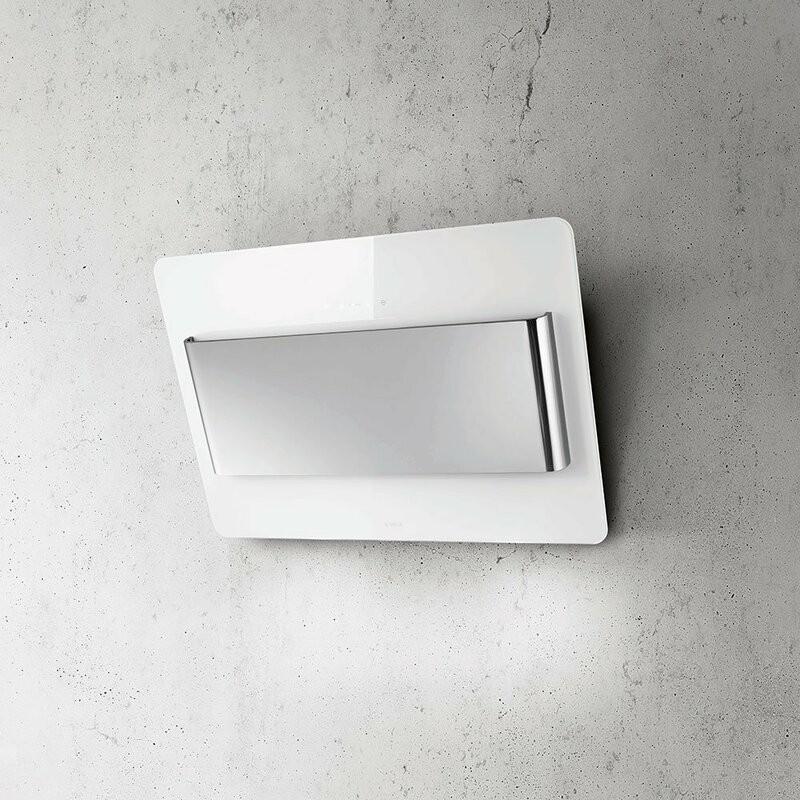 The Verve composes of a tilted bottom panel overlapped by a horizontal element that is designed to fit perfectly on the wall and is designed with functionality at hand. The central element made of polished steel conceals the extraction source, contrasted in the base panel made from brushed steel or black or white glass with rounded corners. The function control is touch control and just a light tap activates both extraction and the halogen lighting.